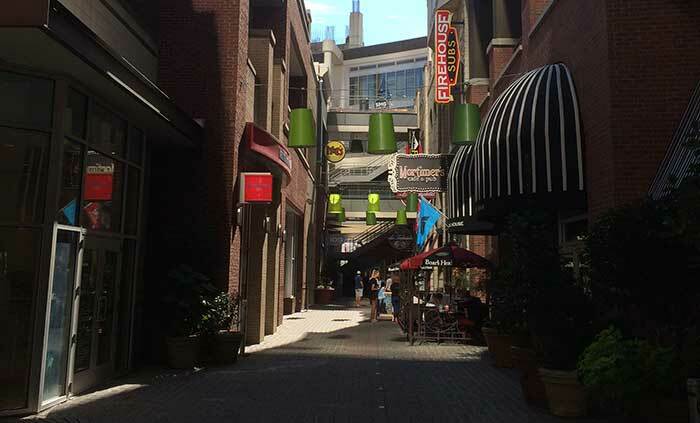 It’s a daily Monday through Friday dilemma for thousands of Uptown workers — Where am I going to eat lunch today? 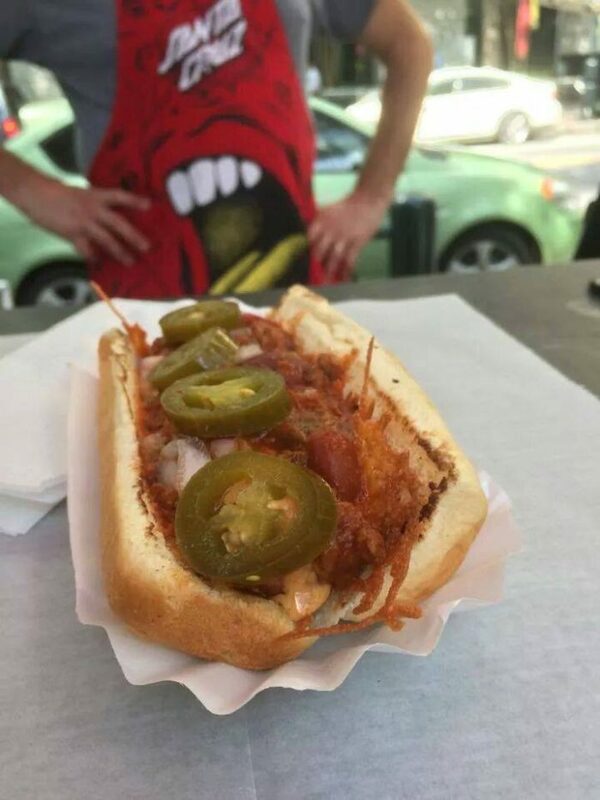 Vic Werany’s legendary hot dog cart was recently named #1 in the country by Money magazine. 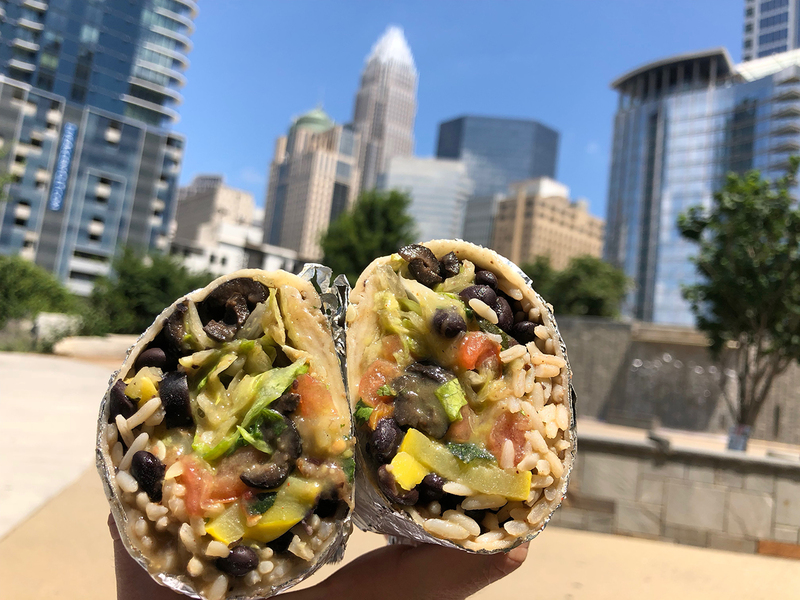 Catch him slinging specialty dogs during the Uptown lunch rush (11 a.m. – 2:30 p.m.) Tuesday through Thursday near the corner of S. Tryon and E. 4th Streets. 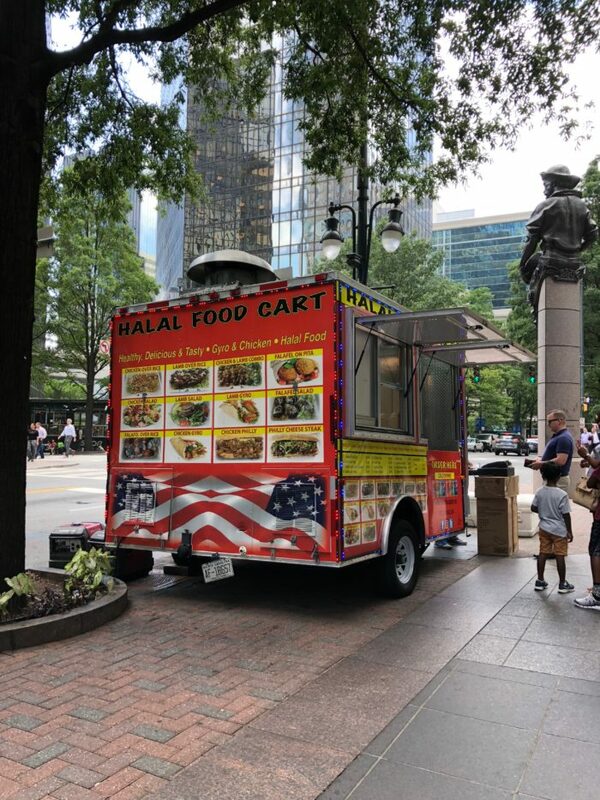 Expect to wait in a winding line during peak hours at this landmark food cart at the corner of Trade & Tryon. 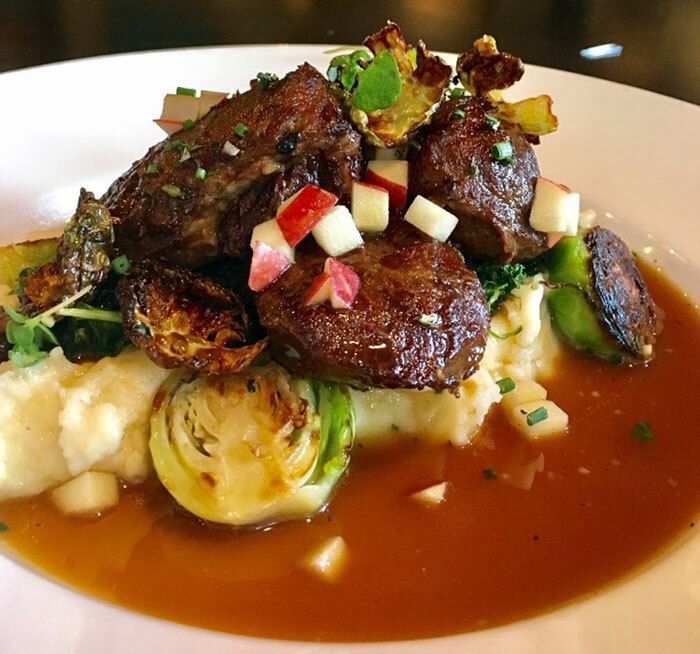 The chicken and lamb combo ($5.99) is their most popular dish. Cash only. Head to the basement of Two Wells Fargo (down the escalator in the atrium) to find this hidden gem. You’re guaranteed to run into a huge line but it moves fast. Save $0.50 if you pay in cash. 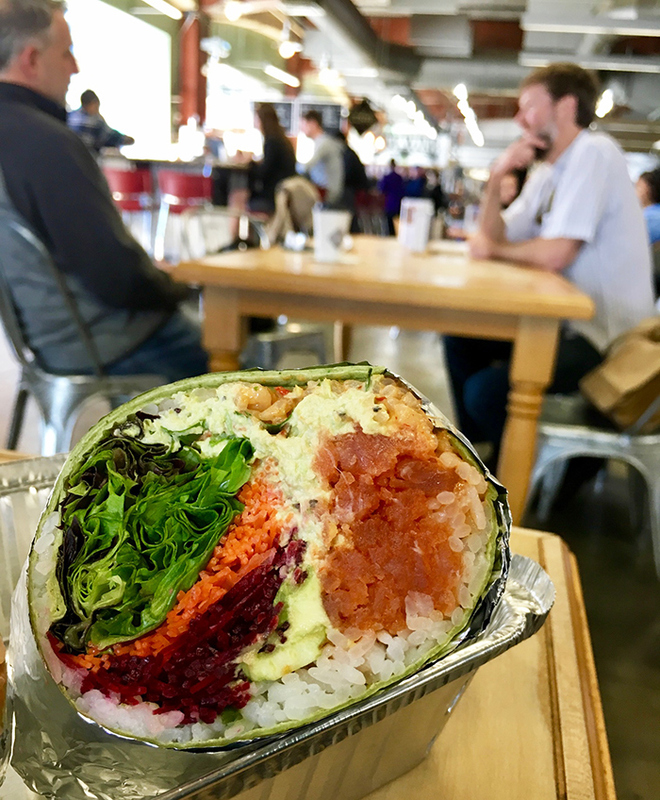 The popular sushi counter at 7th Street Public Market is home to an Instagram-worthy sushi burrito ($10) made with spicy tuna, edamame hummus, spring mix, carrots, beets, cilantro, jalapeño, avocado and chipotle honey sauce wrapped in a flour tortilla. Related Agenda story: Have you tried the sushi burrito? 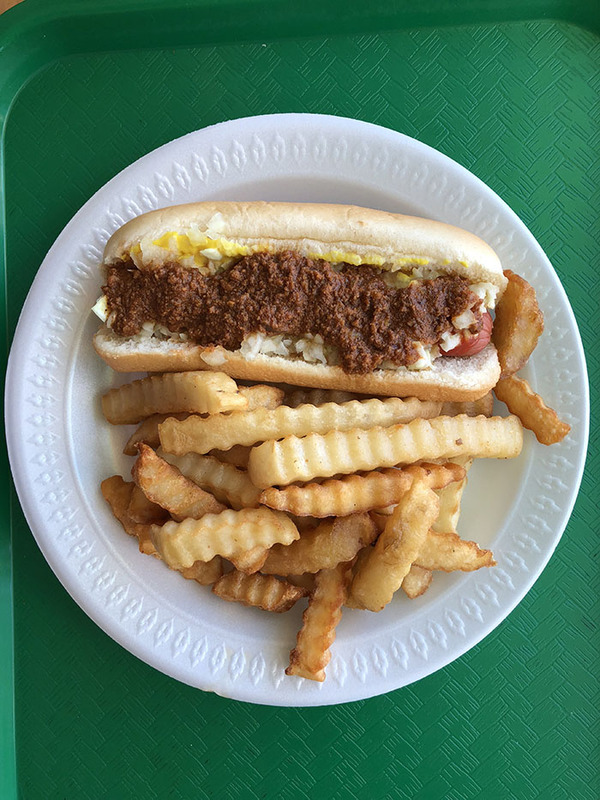 Charlotte’s oldest restaurant (serving Uptown since 1926) is probably best known for its budget-friendly hot dogs topped with secret homemade chili and all the fixings. 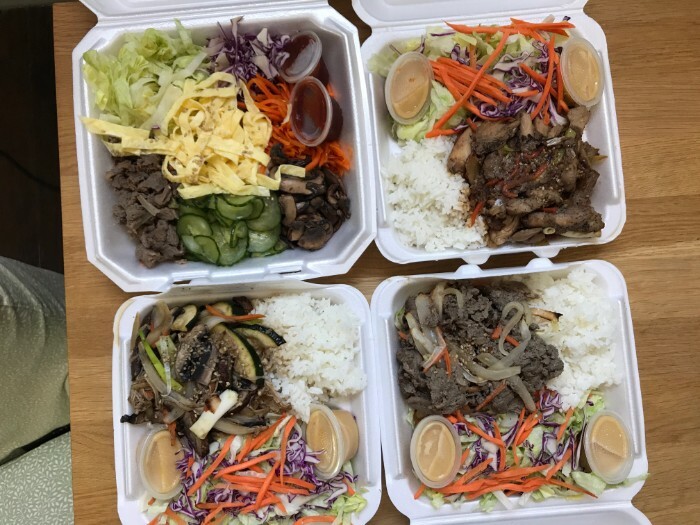 You have to be in the Uptown lunch know to find this low-key Korean takeout counter inside a convenience store on Church Street. Servings are huge and cheap. 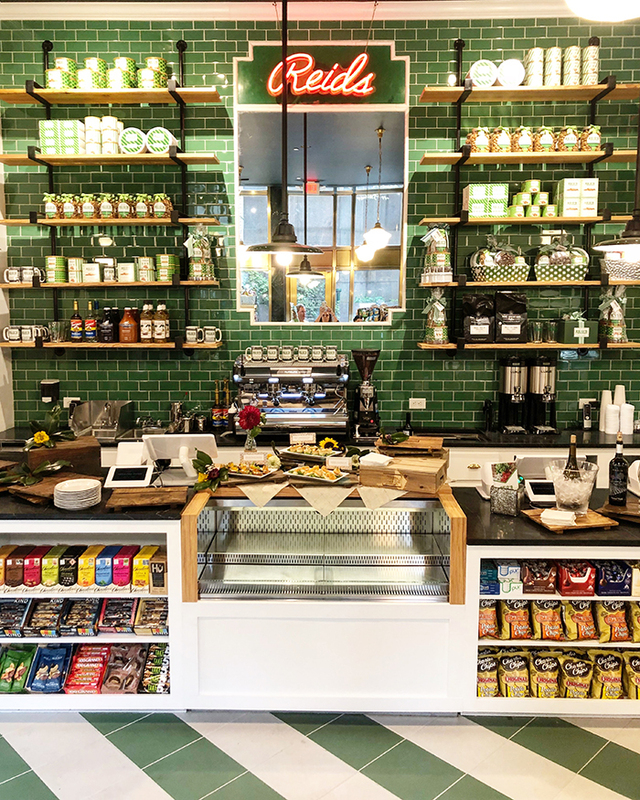 The simple to-go counter inside historic Latta Arcade is a favorite among Uptown workers looking for Charlotte’s best pizza by the slice. The tiny Greek fast food counter on W. Trade is nothing new. 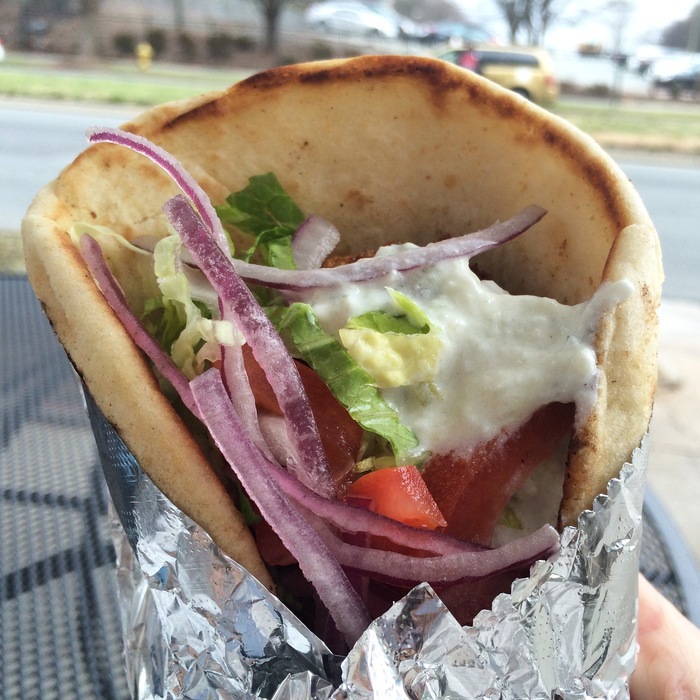 They’ve been slinging burgers, pitas, subs and fries since 2009 and consistently have a line out the door. Bonus: The gyros come topped with fries. 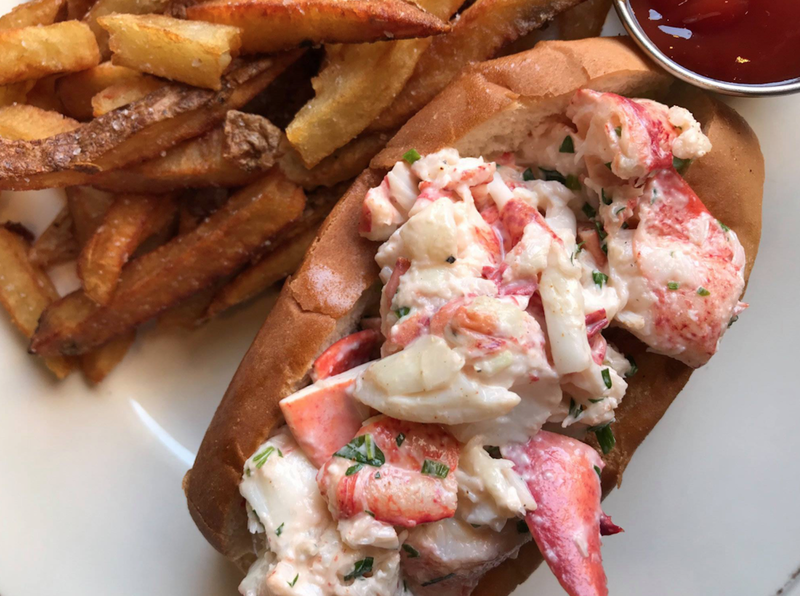 When the eclectic westside market put down roots in Uptown, people rejoiced for a go-to sandwich counter. 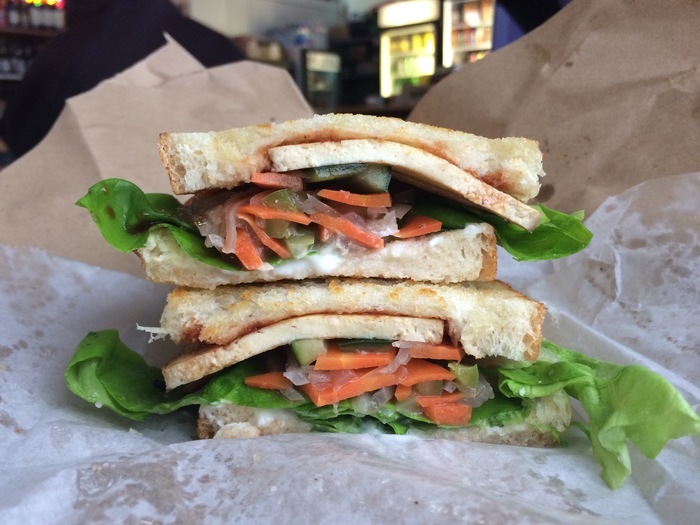 The chicken torta is popular, but I’m partial to the Tofu You (pictured). 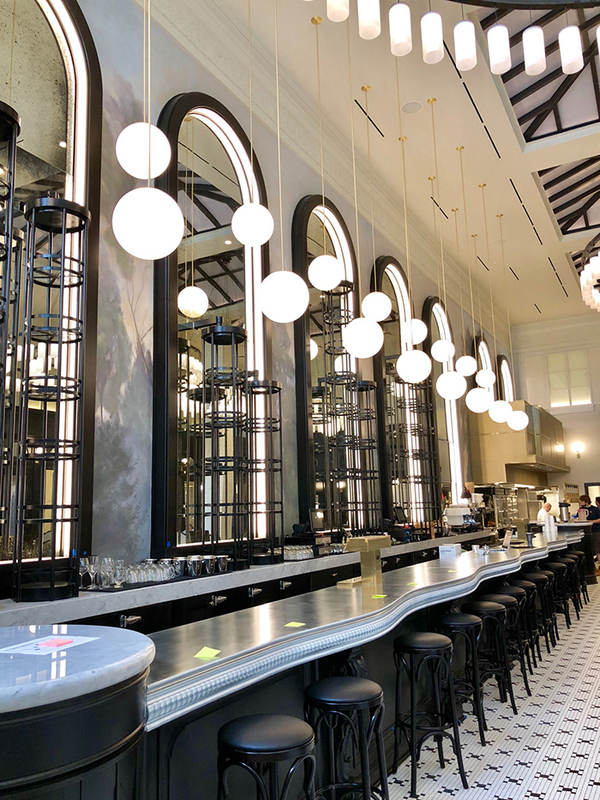 The iconic gourmet market is making its triumphant return to Uptown with the opening of its third location. 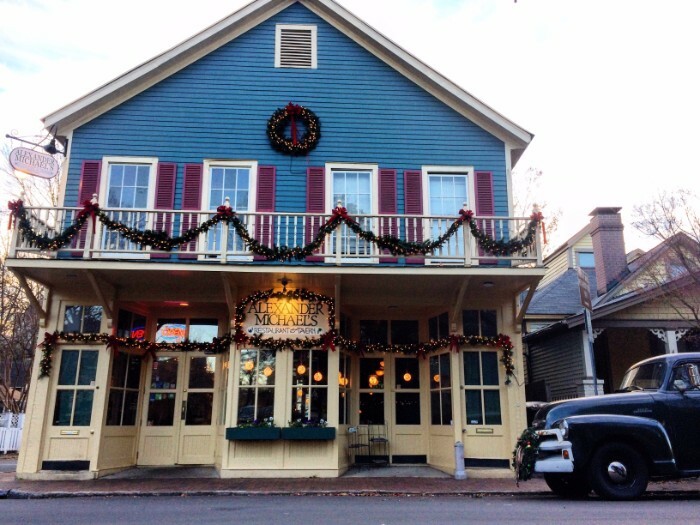 Reid’s operated out of the space now occupied by 7th Street Public Market from the 1990s through 2010. They’re back Thursday, July 26 at 7 a.m. Still can’t decide? We’re not done here. 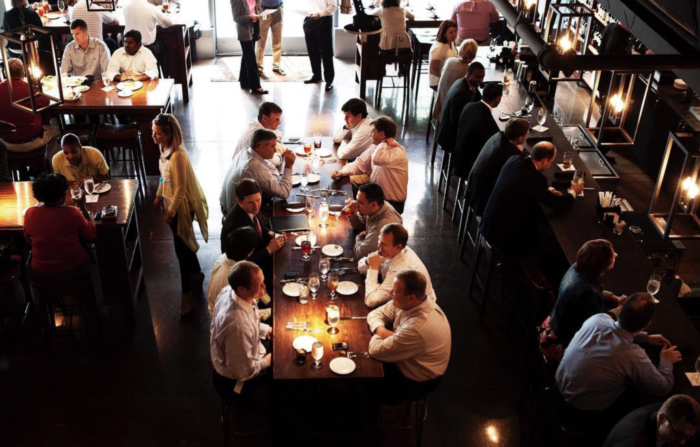 Here are more Uptown lunch options based on specific search criteria. 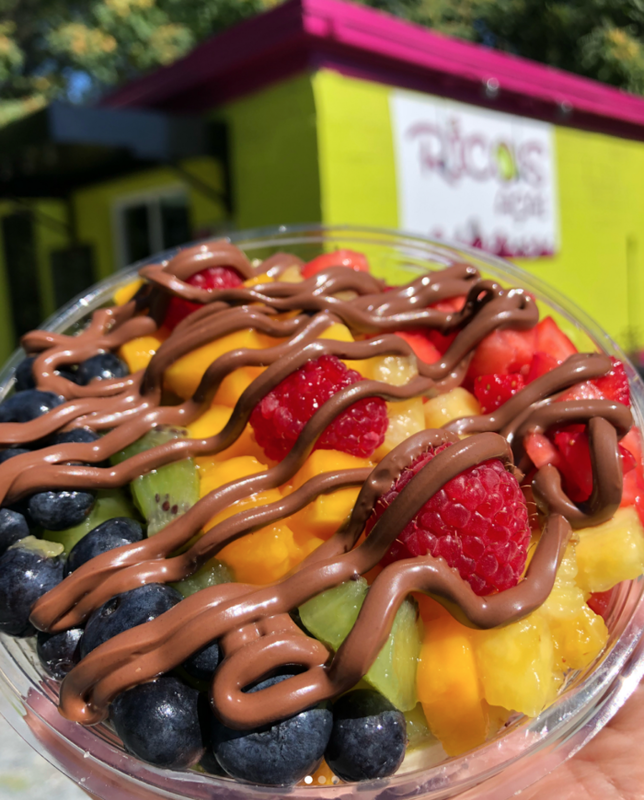 Keep it light with a big bowl of frozen pureed fruit topped with chopped fresh fruit and add-ons like Nutella, almond butter and coconut flakes. Find the truck parked on the Tryon side of the surface lot next to the Gantt Center (directly across the street from the Duke building). 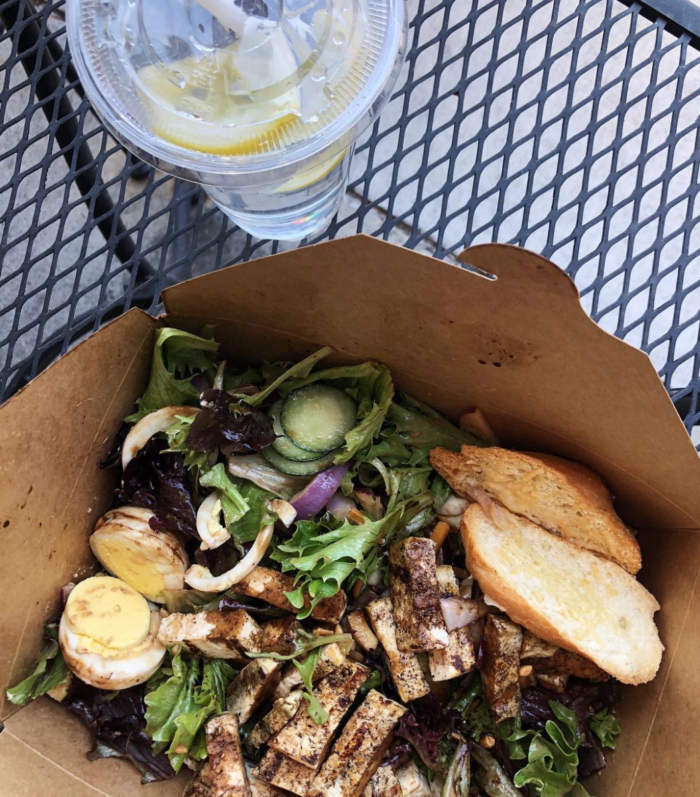 Charlotte’s original build your own salad bar inside historic Latta Arcade is guaranteed to have a line out the door, but it moves fast. 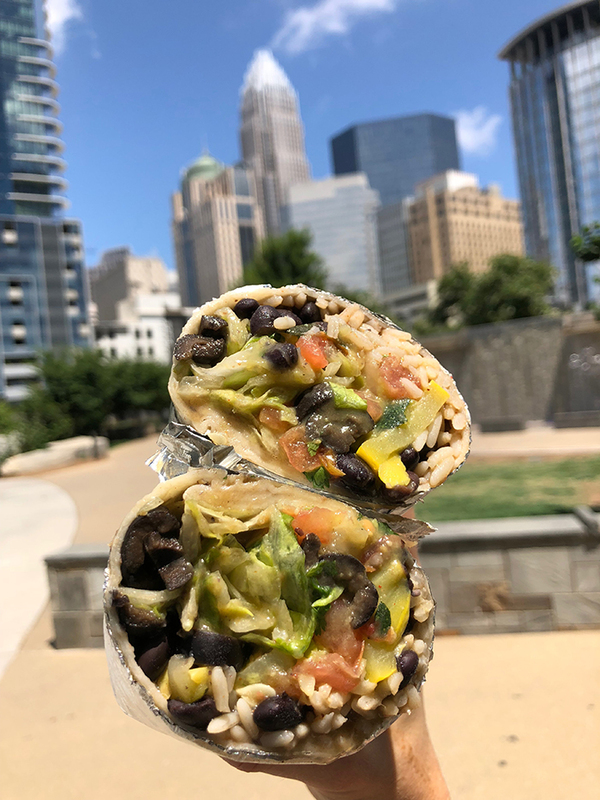 Head across the street to Romare Bearden Park for a nice little al fresco lunch. 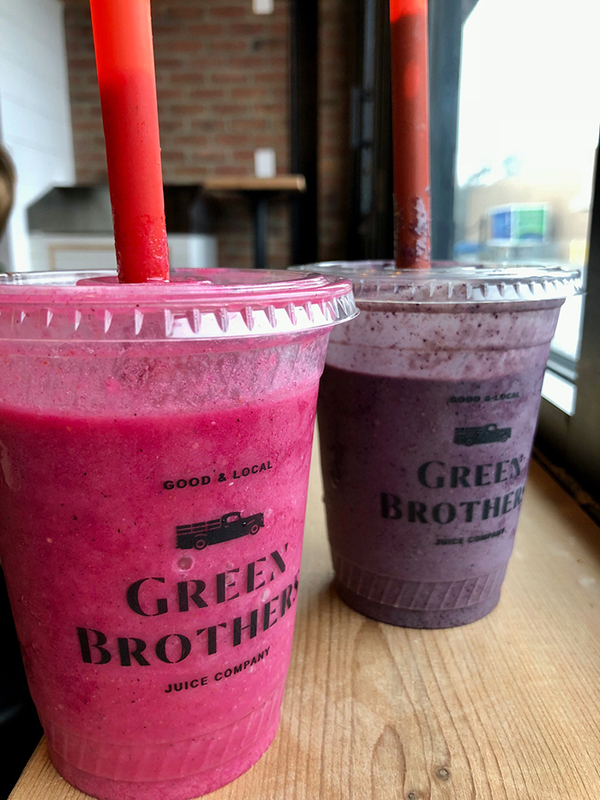 Swing by one of two Uptown locations — inside Bank of America Plaza and Duke Energy Center — for a selection of juices, acai bowls and smoothies. 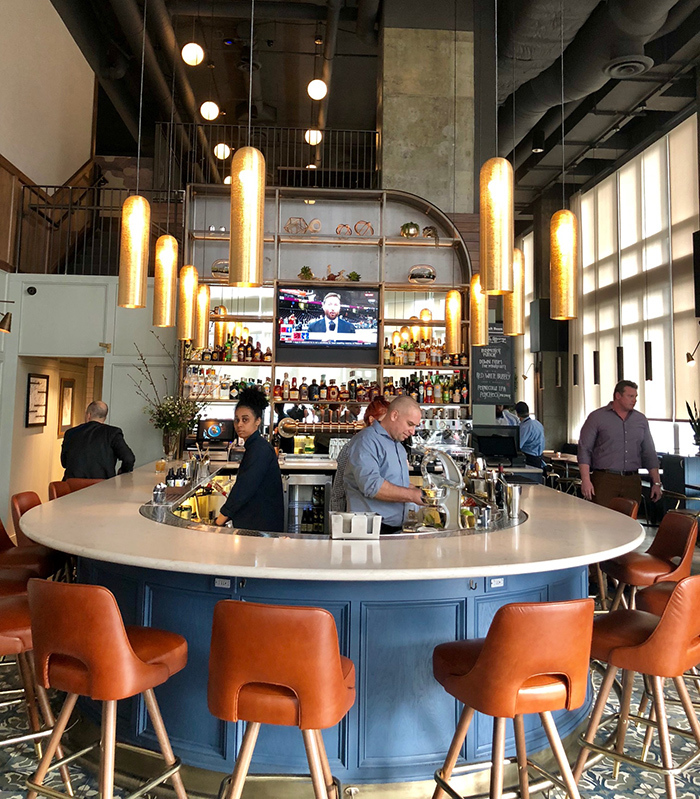 The century-old sister developments have managed to preserve their architectural integrity while maintaining relevance today as a bustling retail marketplace filled with casual eateries. 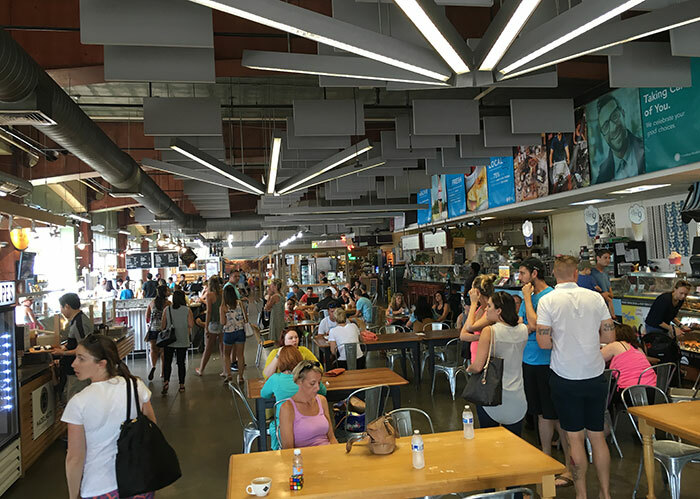 The multi-vendor indoor market is like a grown-up food court featuring all local restaurants. 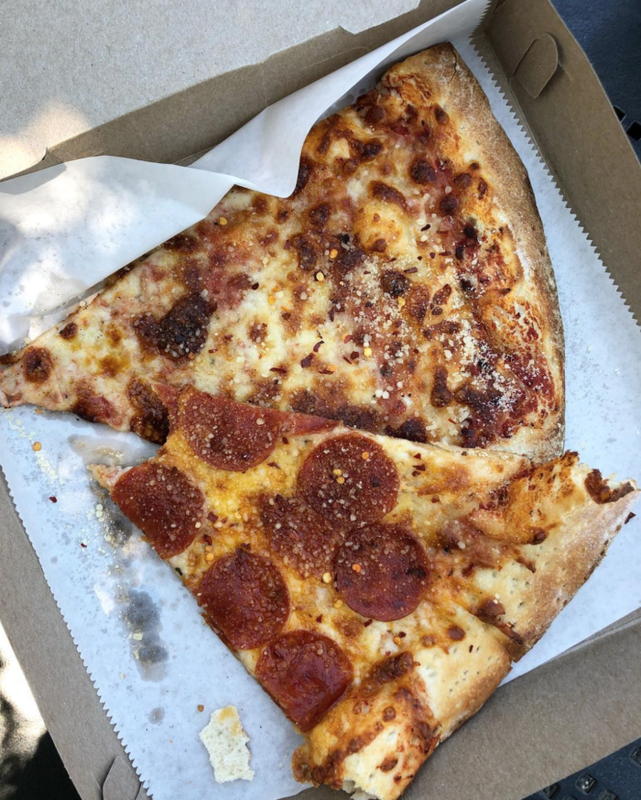 Check out Orrman’s for grilled cheese, Zia Pia for pasta, Pure Pizza for pies made with locally-sourced ingredients, Hazelnuts for sweet and savory stuffed crepes and Bonsai for sushi and poke bowls. See all vendors. 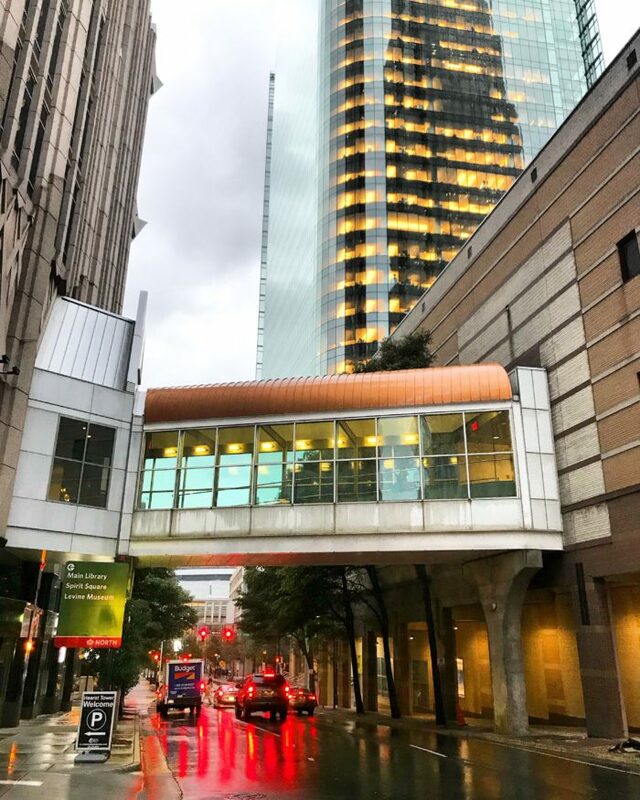 Uptown buildings are connected with an intricate network of tunnels and skywalks that can take you from the Duke building all the way to Hearst Tower without ever stepping foot outside. 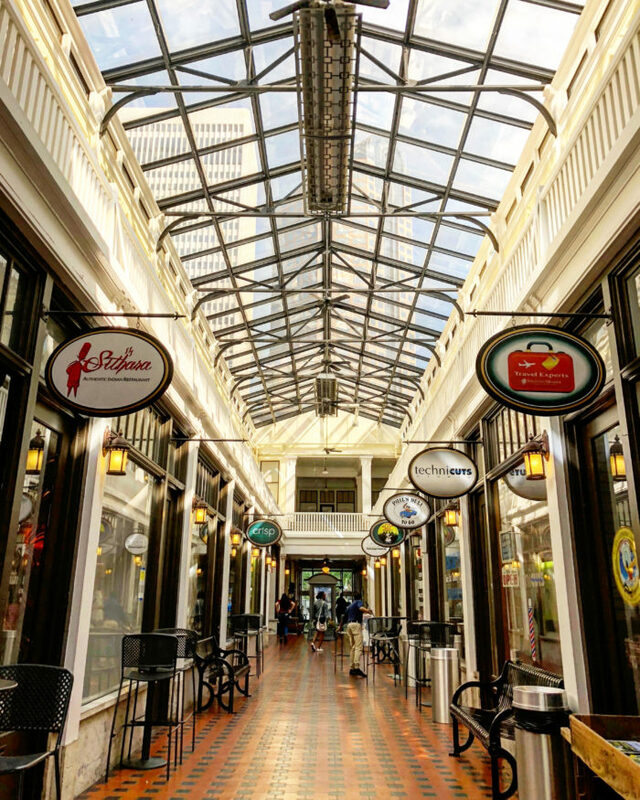 Inside, you’ll find a string of mall-style food court eateries — everything from McDonald’s and Chick-fil-A to local options like Green Brothers Juice. This nightlife club hub sees plenty of action during the day too with 20+ chain and local eateries located in the multi-level development. 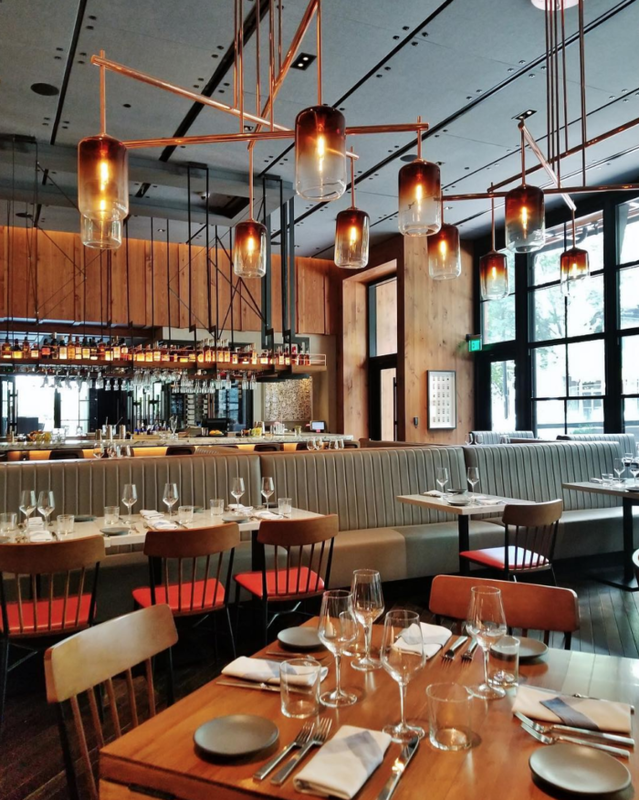 Check out Red Eye Diner (from the same ownership team behind Midnight Diner), Vida Vida taco bar and Libretto’s Pizzeria. 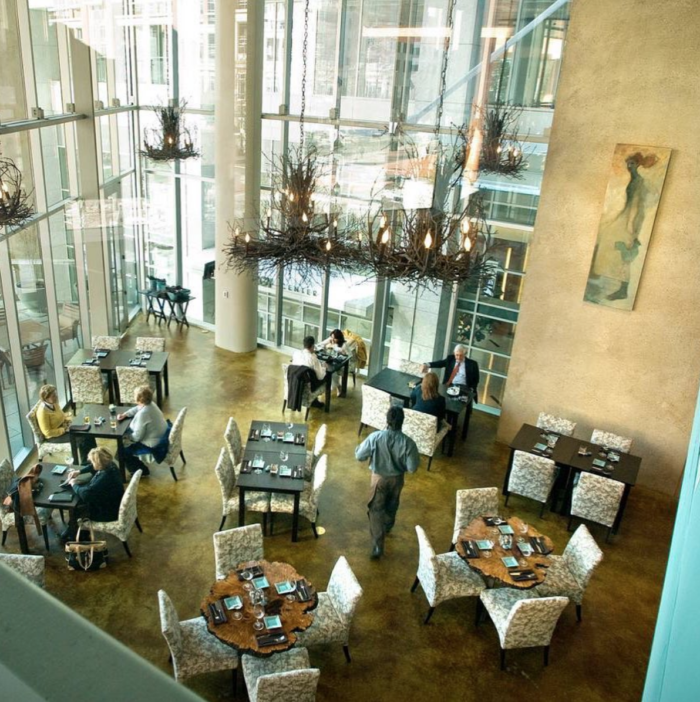 See all EpiCentre dining. 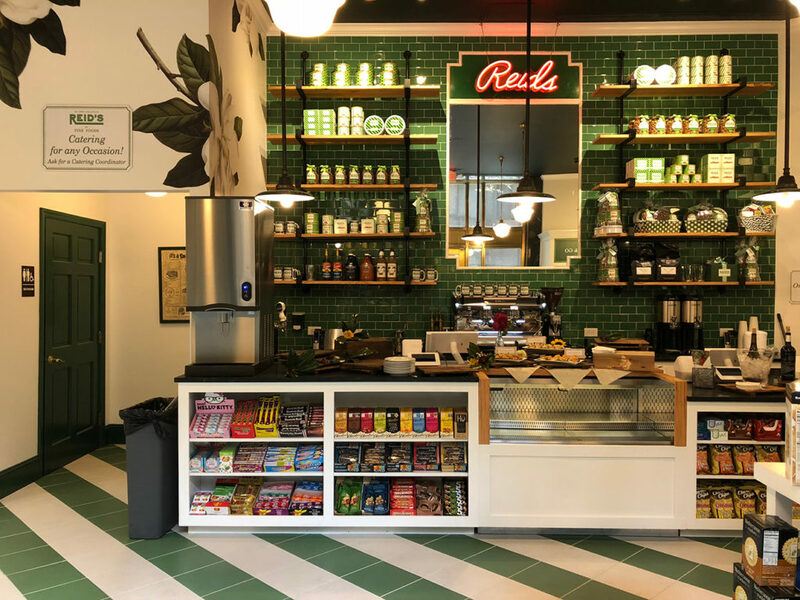 Reid’s Fine Foods will open Uptown location Thursday, July 26 at 7 a.m.